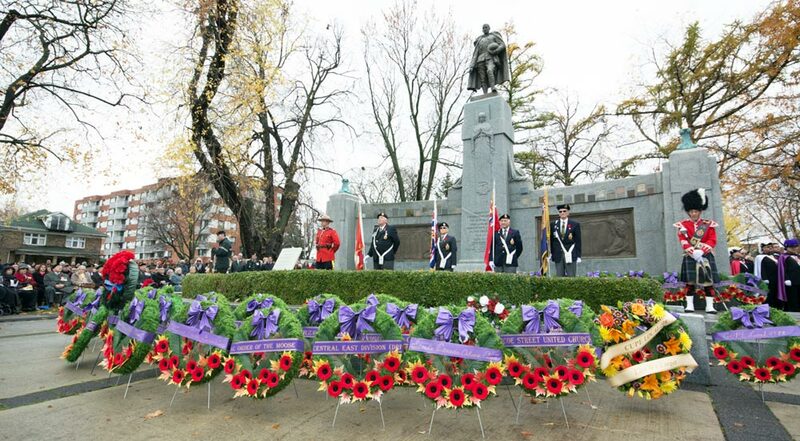 Memorial Park, the home of the city’s annual Remembrance Day observances, is one step closer to becoming an official cultural heritage site. Oshawa’s Memorial Park may soon receive official recognition as an Ontario heritage site. Following a recommendation from the Heritage Oshawa committee, city staff are currently working on a report regarding the possibility of officially designating the park as a property of cultural heritage value. The list of credentials is a long one, and it would be a tough argument to justify why the park just south of the city’s downtown should not be designated under the Ontario Heritage Act. Along with its proximity to several significant institutions – including Oshawa City Hall, the Masonic Temple, the Canadian Automotive Museum, Oshawa Public Libraries and the Oshawa Senior Citizens Centre – the site has direct associations with several aspects of significant local and national history. “Memorial Park is important in defining, maintaining and supporting the area in which it stands, as well as being a landmark in the centre of Oshawa,” reads the motion from Heritage Oshawa. Locally, the park has links to both the McLaughlin and Pedlar families, with a plaque on the site recognizing Pedlar People Limited and its industrial contributions, while the bandshell itself was a gift to the city from Colonel R.S. McLaughlin in 1942. The murals on the opposite side of the bandshell have links to the Ontario Regiment and were painted in recognition of its 130th anniversary. The cenotaph is a war memorial to veterans of the First and Second World Wars, with the names of all the Oshawa residents who died in both conflicts etched into tablets affixed to the memorial. A memorial to the Korean War is located on the west side of the structure. With all that in mind, the site is also a cultural hub for events with the city’s annual Remembrance Day ceremonies, Metis Festival, Pride Parade and Summer Concert Series all taking place in the space. Now in the hands of staff, a timeline was not provided during the last development services committee as to when when a recommendation would be coming before council.